Since you’re here, I can guess that like me, you too have in interest in holistic herbalism and natural health. And maybe you stopped by because you know, like most of us do these days, that human health is in a concerning state, that despite the highest amount of medical revenue being generated in our history, and advancements in medical technology that are at the forefront of human ingenuity, our health as a species has continued to decline. Maybe you’re here because you agree with the growing consensus that one of the main contributing factors of declining health stems from the impacts of our modern lifestyle. Human resilience, as indomitable as it seems as has proven, is profoundly challenged by the radical divergence of modern lives from ways of life that were relatively the same for roughly 84,000 generations. If we know human health is being continually compromised at an increasing rate, and that our lifestyle, food, environment etc. are largely to blame, what are our options. We can choose to not rock the boat and hope the situation corrects itself without our influence. We can dive headfirst into the pool of poison Kool-Aid, and accept the inertia of the health descent and hope that we defy the odds and it doesn’t happen to us or our loved ones. Or if we view this as an unacceptable real threat to ourselves and our planet we can engage the unparalleled processing power of our cranium based supercomputers, and the equally unparalleled power of human compassion and connection, to engage realistic actionable effective solutions. By learning simple, useful ways to support and nourish your health, avoid harmful things as much as your situation allows, and to create systems in your life that encourage wellness rather than its opposite seems, like a reasonable course of action. Our mission is to empower others with trustworthy, effective, and actionable natural health knowledge and support to improve their health for a better world. Using plants as medicine is one of the oldest approaches to healing recorded, with clear descriptions of medicinal plants in Sumerian writings and clear descriptions in the Eber’s Papyrus circa 1550 BC and non-written evidence dating back 60,000 years to the Neanderthal Shanidavar cave in Iraq. Plants have a proven history of being safe, effective and most importantly powerful therapeutic agents when properly applied. Having consumed plants as nourishment for these many millennia, we have established a relationship of recognizing and utilizing their particular properties and constituents to be able to benefit from them. Consider the amazing story of Terry Wahls, the brilliant MD who having been diagnosed with rapidly progressive MS, was able to stop her decline with supplements and vitamins, but was only able to reverse some of the disease process when she got those same nutrients in their food matrix. Plants give us more than just the sum of their constituents. Yeah, but, do herbs really work? Believing in herbalism, faith in 3500 years of history aside, doesn’t require an extension of belief beyond that in the science of chemistry. Plants are indeed much much more than packets of chemicals, but they are also, packets of chemicals. These phytochemicals, as they’re known have an effect on our physiology. This science called phytochemistry is confirming and adding to what history and clinical experience have taught us, resulting in a body of therapeutic understanding of herbalism that is possibly the most extensive in all of history. Of course, this is a threatening sentiment, to think that you can be empowered to improve your health by going to your backyard weed path, rather than by running to your pill cabinet. So unsurprisingly herbalism has been propagandized against by the political-economic forces that control the dominant media. The narrative regarding herbalism is generally of two antithetical poles; that either herbs are not effective, or they aren’t safe. These two ideas contradict each other because either herbs are ineffectual, meaning that they don’t have an effect (Ignores their reliance on coffee, aspirin, cannabis or nicotine) OR they have an effect that sometimes can be unsafe. If they have an effect that isn’t safe, then it’s reasonable to consider that if properly applied means they’d have an effect that is safe. Thinking again about the effects of coffee, cannabis, opiates, aspirin and the roughly 40-60% of pharmaceuticals derived from plants, is a simple proof as well. So, do herbs work? What do you think? 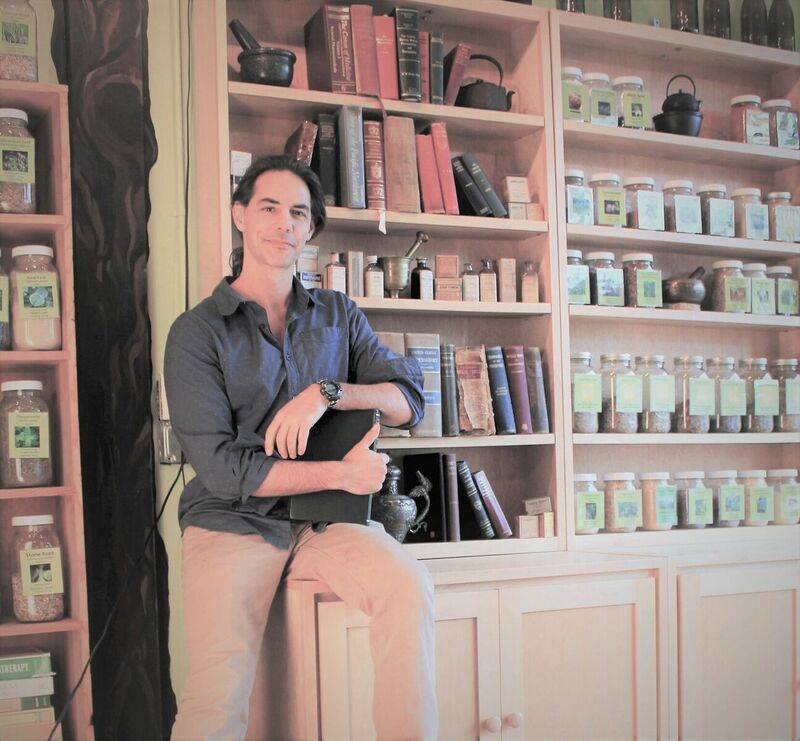 I’ll feature actual client/patron/student interactions from our store, clinic and school 1-2x per month to highlight how holism and herbalism can combine to create greater levels of health. Want to be featured here, anonymously of course, then send an email with your question, AND/OR stop in to discuss your health goals. At Vital Way’s Holistic Herbal School and Center, we have seen that by drawing from the immense collection of Wisdom and knowledge available to us, is the most effective way to use herbs for healing. We are influenced by Ancient Greek, Chinese, Ayurvedic, Wise Women, European, Native American traditions, as well as that which is coming out of modern research and clinical experience. With our ultimate goal of helping others be empowered to be more health, we benefit from the sources that are effective and often are required to synergistically combine perspectives for the greatest outcome. You’ll see in the blog how we incorporate what the situation dictates with the aim of choosing the most effective course and not because of a bias towards any particular type of wisdom or knowledge. When considering if you should learn about your health or entrust it to others, certain questions arise. Let’s be clear, human health is no doubt complicated, and it can be challenging to work through complex conditions. But this doesn’t mean you only have two options; find someone who has studied health intensively for many years to treat you, or study for many years yourself. Another option that parallels a larger social ecology is that people are becoming empowered to facilitate their own health journey, without needing to become the most highly knowledgeable person on their health team. You can learn enough to be an intelligent consumer of health care and that creates powerfulness where our system has largely engendered relative powerlessness. When you have agency, that is, empowerment to act in a self-directed way regarding your health, then you have tremendous power over your future. It’s my hope that this blog will contribute to giving you actionable tools, information, strategies and most importantly, agency to consider for yourself the best course of your healthcare and your life. This blog does not offer medical advice, nor is it meant to diagnose, treat or cure anything. It’s for education purposes only and you should always consult you licensed medical provider before using any herb or other health approach.